We are inviting you to invest in your business, your community, and in yourself! 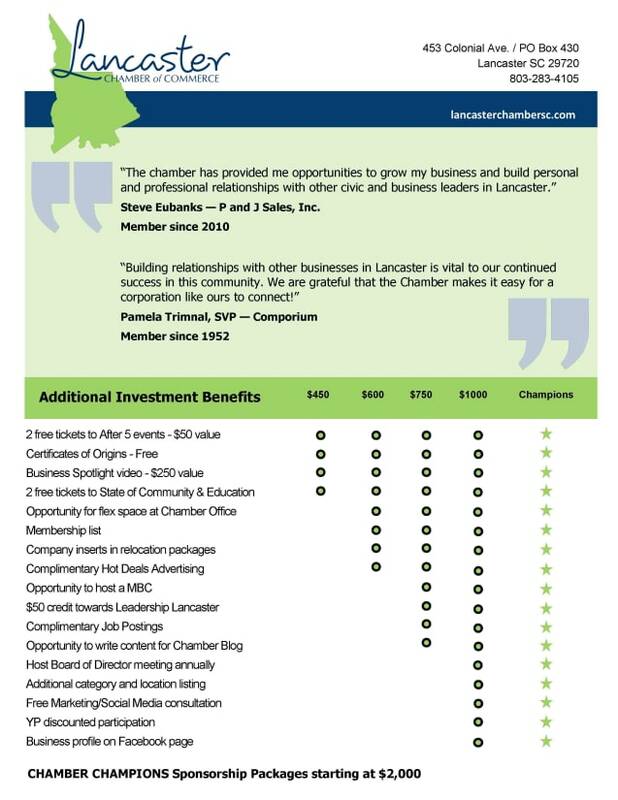 The Lancaster County Chamber of Commerce is dedicated to making Lancaster a better place to live, work and do business. Talent Pipeline: Proactively preparing our students for tomorrow's jobs through leadership and workforce development. Quality of Life: Chamber initiatives focus on the end goal - prosperity for the entire community. You First: Through advocacy, and business and community development, we are putting our members at the forefront. Member Benefits: The Chamber is championing your efforts to grow and improve your business through training, discount programs and referrals. It's a win/win for businesses and Lancaster County. Engaged: Seeking first to understand the challenges your business faces, we are engaged in the issues affecting you. Collaboration: We are synergizing with business and community organizations through leadership training and educational programs. Why should you join? We're sharpening the saw of our community. Through workforce training, networking, community stewardship, business development and advocacy, we are building a brighter future for Lancaster County. We're developing leaders at every age. Through initiatives like The Leader in Me, Youth Leadership Lancaster, and Leadership Lancaster, the Chamber is striving to fill the talent pipeline that supplies our county's businesses with superbly-equipped candidates. Embarked on a 1.4 million dollar campaign for The Leader in Me education platform. The future of Lancaster - and your business - lies in the environment that we create. Continually improving the quality of life is crucial for recruiting new talent and new businesses to Lancaster. It is also instrumental in retaining the existing talent and businesses we've already cultivated. The Chamber's vision is to make Lancaster County a better place to live, work and do business. It's our anthem at the Chamber as we keep our members at the forefront of our primary areas of focus: advocacy, business development, membership development. Leading businesses. leading communities. We work every day to create win/win opportunities for you and your business, our members! To help you grow and improve your business, we offer training programs, video business spotlights, discount programs to save you money and ongoing customer referrals. 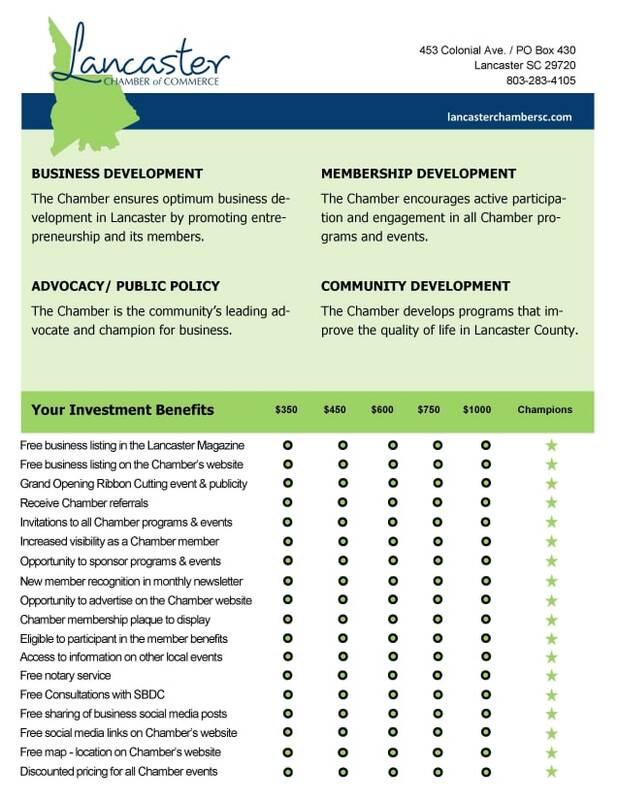 The Chamber is deeply engaged in understanding the challenges facing you and our community; and then acting to improve the quality of life in Lancaster County. We supported the Lancaster County School Board Referendum of 2016, which returned an overwhelming majority vote of YES for safety, technology and infrastructure upgrades. 6. SYNERGIZE (sin'er-jiz) v. The habit of creative cooperation. It is teamwork, open-mindedness, and the adventure of finding new solutions to old problems. 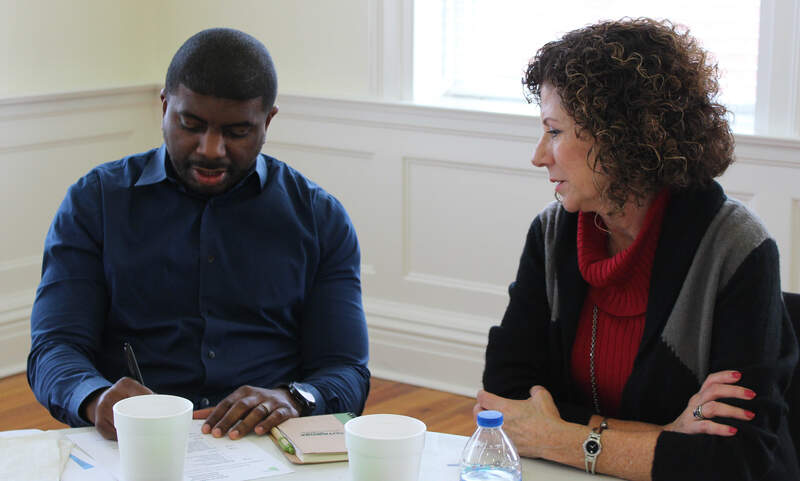 The definition embodies the collaborative economic development efforts of The Chamber through partnerships with the county, the City of Lancaster, nonprofits like J. Marion Sims Foundation, and YOU! We have fun! Whether you join us at our annual golf tournament, attend one of our premier networking events, complete with live music, food and games, or participate in one of our training programs, the Chamber believes that fun is a key component to learning, building relationships, growing your business and improving our community.